The NBA world is reeling over the news that Kings coach Mike Malone has been fired after the team's 11-13 start -- a start that was marred by the viral meningitis of center DeMarcus Cousins. This was just Malone's second season with the Kings, and most would agree that he had done a lot with very little, talent-wise. Now he's gone, and Ty Corbin is taking over in the interim. NBA news god Adrian Wojnarowski has the inside scoop on the Kings' inner turmoil, and his report claims that Malone never had a chance to succeed under GM Pete D'Alessandro and owner Vivek Ranadive. The team's slow start, regardless of Cousins' status, gave management the excuse they needed to dump Malone after just 24 games (106 in all). Malone is credited with having built a strong bond with the team's two best players, Cousins and Rudy Gay. The decision to halt this progress lays at the feet of Ranadive, who bought the team last year and has since tried to usher in the use of big data and outside-the-box thinking. Most of his decisions -- outside of hiring Malone in the first place -- have blown up in his face. Woj himself says that "the Kings are still in Sacramento, but so is the dysfunction" despite the departure of the previous owners, the Maloofs. Hiring a general manager after hiring a coach. Putting out feelers for Josh Smith, who is crappy. Woj credits the team's interest in Pistons forward Josh Smith for the increasingly strained tensions between Malone and management over the summer. Smith is considered to have one of the worst contracts in the league, and yet the Kings wanted him alongside Cousins for reasons that aren't exactly clear. Even thinking about Smith -- who is owed $13.5 million a year for the next three seasons -- is lunacy and demonstrates a clear lack of understanding in how constructing a good team works. Pressuring management into taking Nik Stauskas in the 2014 Draft. Trying to make Sim Bhullar into a thing. 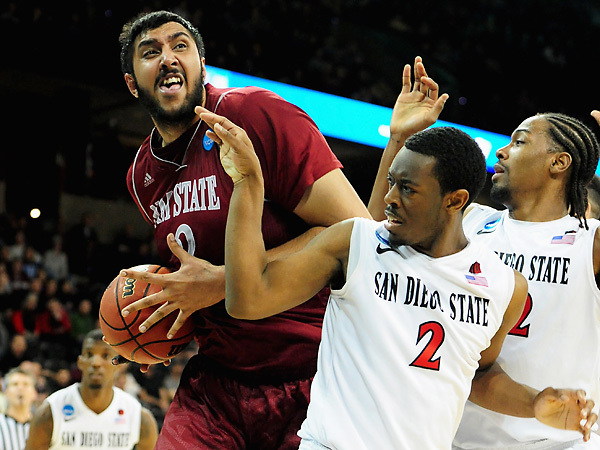 Sim Bhullar is an enormous dude that Ranadive wanted to make into the Indian Yao Ming. But despite being 7'5'', Bhullar has no true skills as a basketball player, nor the conditioning or athleticism. He's just big. He went undrafted out of college, signed with the Kings, and was released before the start of this season. Having ridiculously high expectations for the team this year. Sharing tactical experiences about coaching his child's youth team and thinking that was a good idea. If it works for high school kids, it should work for the NBA, right? The only reason using a 4-on-5 defensive system -- which is actually something Ranadive wants to try -- might work on the amateur level is because the players are children and children are not very good. This would be a joke in professional basketball. If the Kings attempt to do this in a game, as is rumored, I will possibly laugh myself into a coma. YOUTH TEAMS AND NBA TEAMS: NOT THE SAME. Hiring Malone at all. And then firing him. BONUS: Remember when he had the players and cheerleaders and fans wear Google Glass like a bunch of nerds? For more, check out Zach Lowe's write-up on this fiasco, which includes wanting to run an up-tempo offense around Cousins. Ha.